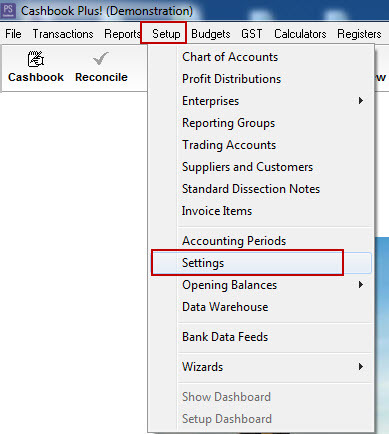 Why don't my company (Trading Name etc) details appear on reports such as Payments Summary? 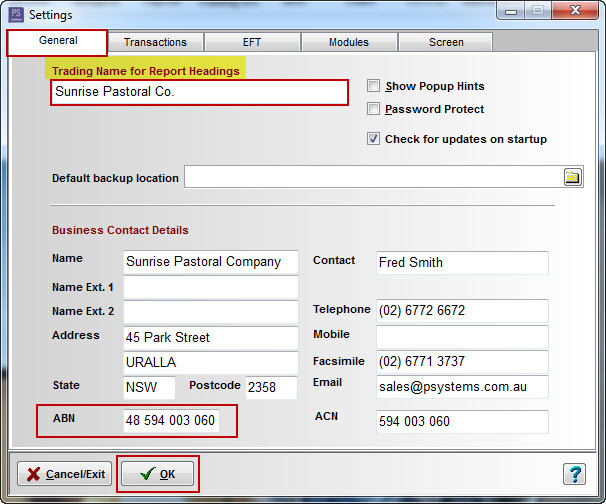 In the General tab section, enter the Trading Name for your business - this will display on all printed reports. Fill in your Business Contact Details (name, address, ABN) for BAS return and Customer and Supplier invoices.